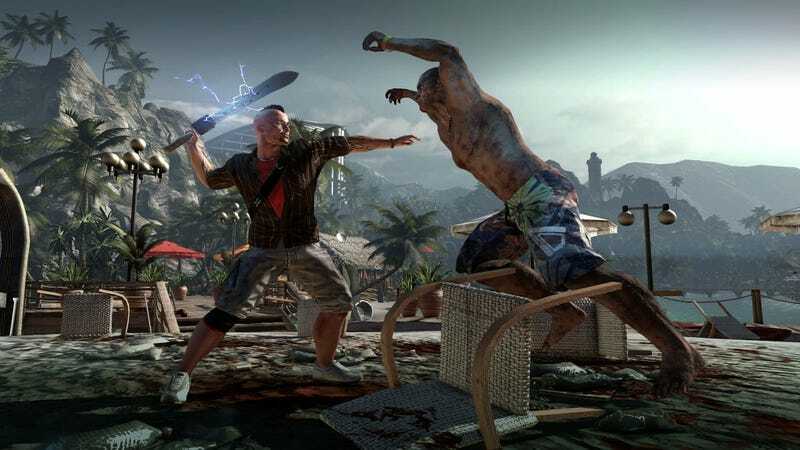 The PC Version of Dead Island has had a pretty rough launch. First, the developers' code was accidentally released in place of the retail version on Steam. Even after that problem was remedied, the final code on PC was buggy and the multiplayer servers were problematic. Fortunately, a group of modders have been hard at work, sharing all manner of fixes and tweaks. They've been catalogued here, and the index is being regularly updated. I haven't used most of these mods, though "Fists of Fury" looks like good fun. When I booted up the game, I found that the screen-tearing that was going on was so ugly that it was significantly affecting my experience. Weirdly, the game has no option for vsync. So, I held off on playing until Techland issued a patch that would add a vsyncing option. Fortunately, Steam user Kosire beat them to the punch and posted a really easy way to toggle vsyncing on. It totally worked and improved my experience hugely. Thanks, Kosire!